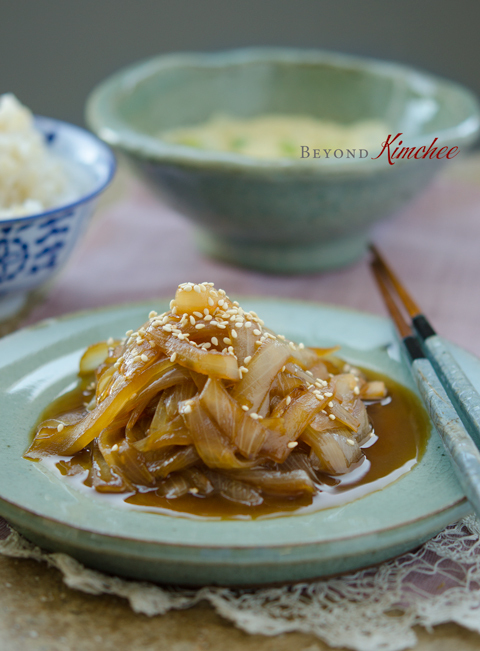 This Soy Braised Onion was one of my childhood favorite side dishes. My mother often made it whenever she had too much onions in the kitchen. 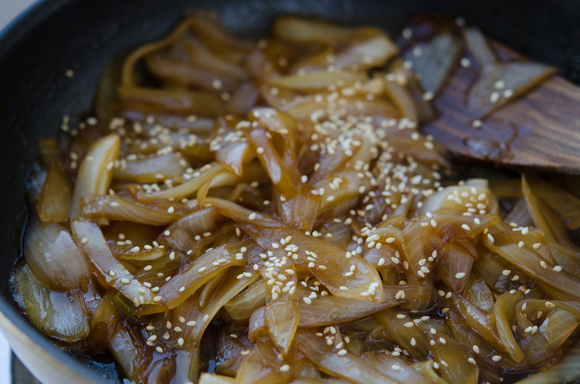 You will only need onions, soy sauce and olive oil. I added a little Korean style corn syrup and sesame seeds for extra lust and nuttiness, but you can omit them. It is extremely simple to make and delicious to top a bowl of rice. Perfectly vegetarian and vegan worthy. 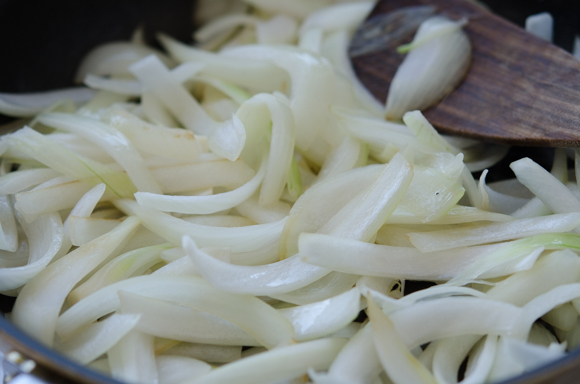 Vidalia onion would be the best choice to get the natural sweetness but you can use yellow onions with a little added sugar to get the similar result. 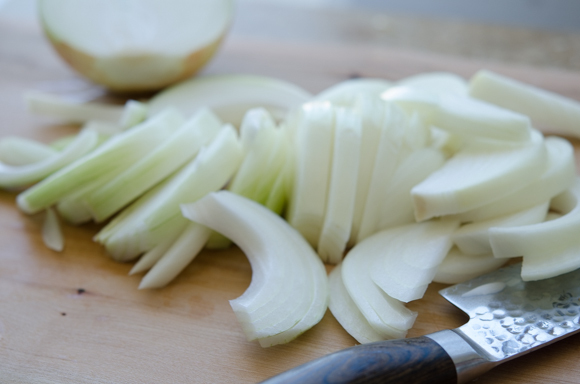 Slice the onions about 1/2″ wide. Heat olive oil and saute until just soft. Lower the heat to med-low and simmer until very soft. 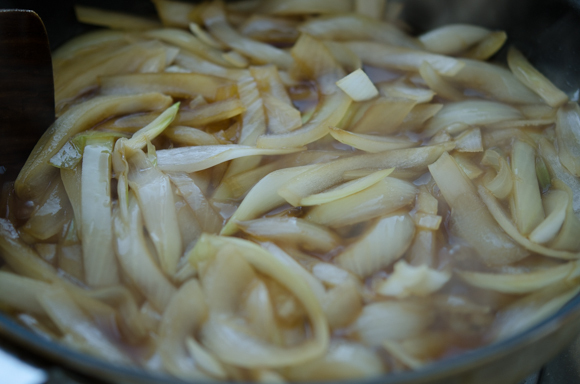 you don’t see much liquid in a pan and the onions are very soft and tender. 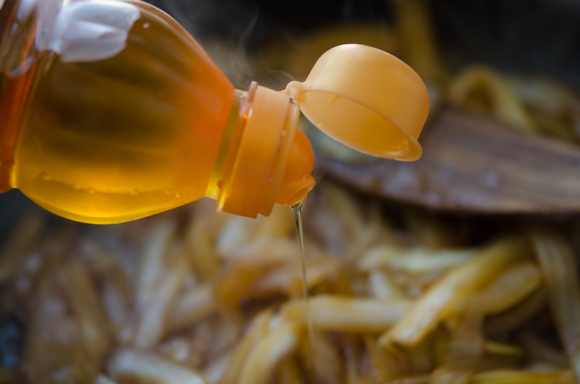 You can add a little bit of corn syrup for a shine, but it is optional. It also adds a little more sweetness. Sprinkle lots of toasted love, the sesame seeds! 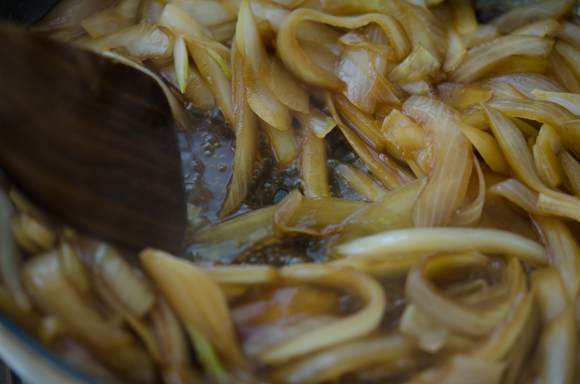 And the lovely soy braised onion is ready to serve with rice. 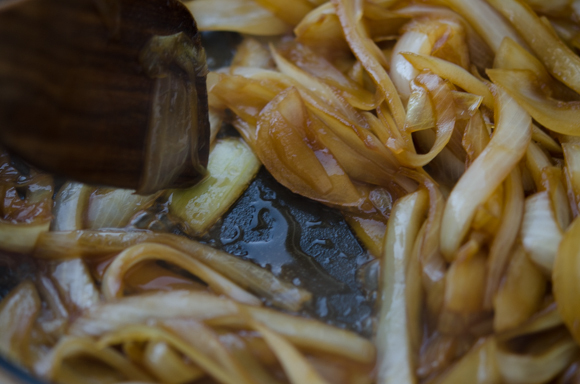 As it gets cool, the moisture from the onion will ooze out and the juice is delicious to drizzle over the rice. 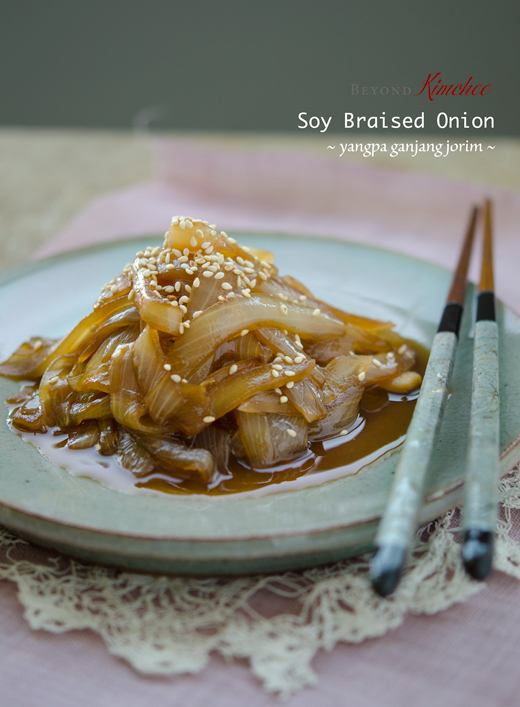 I served myself this sweet onion dish with my Steamed Egg Pudding over a rice for lunch and I was satisfied. 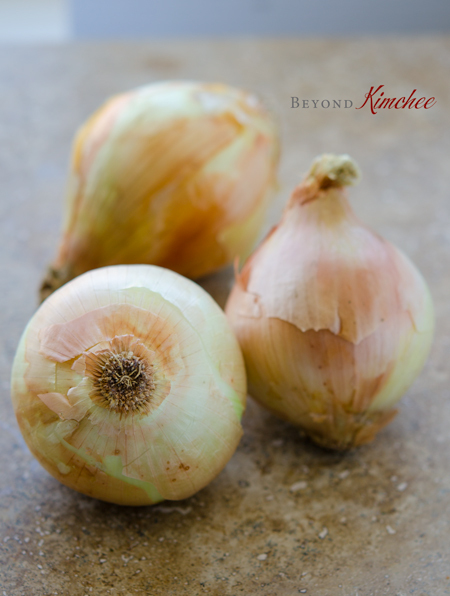 What a great way to enjoy the goodness of onion! Yum! 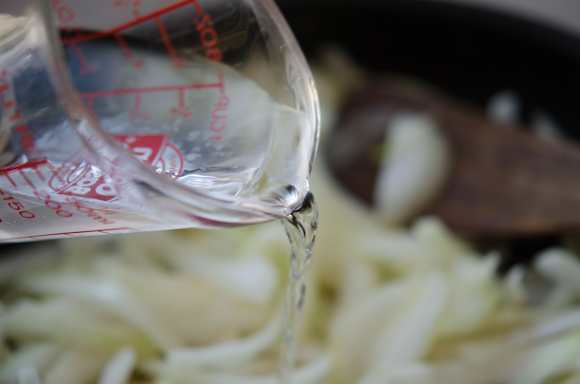 Heat olive oil in a skillet over med-low heat, add onions and stir for 2 minutes until slightly soft. 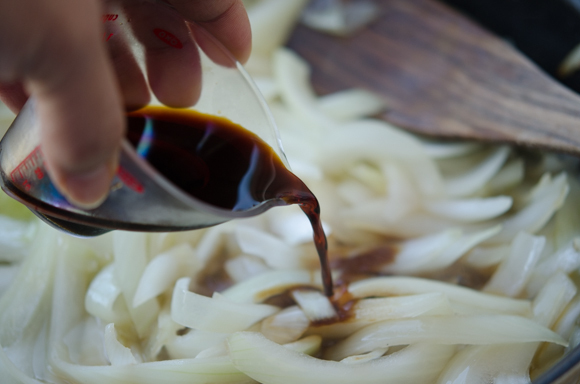 Add water and soy sauce, continue to cook until the onions are very soft and the liquid in a skillet is almost disappeared. Sprinkle with toasted sesame seeds. Serve with rice. Yummy this sound so good ! Will definitely be trying this recipe . I love onions! Never tried soy braised ones, though. I really like this idea! Definitely will be trying -- thanks. I don't usually think of serving onions on their own -I generally mix them in with other veggies, but this looks good! yuuummmm! 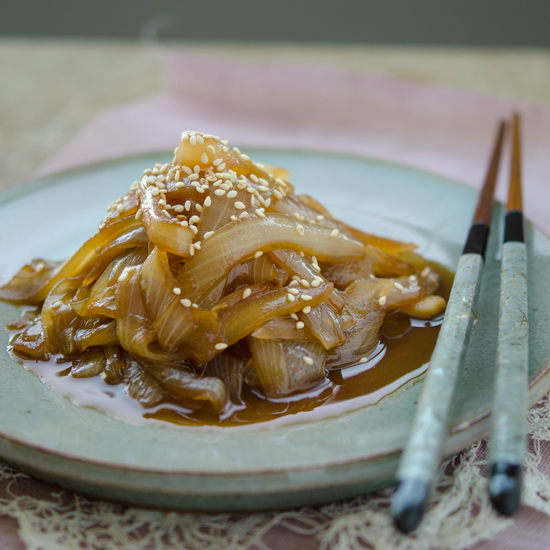 this looks super good I really like onions-funny to think how when I was little I didn't like onions (until I tried fried onions of course...) and now I want to make a dish that is nothing but onions! This looks so good!!! 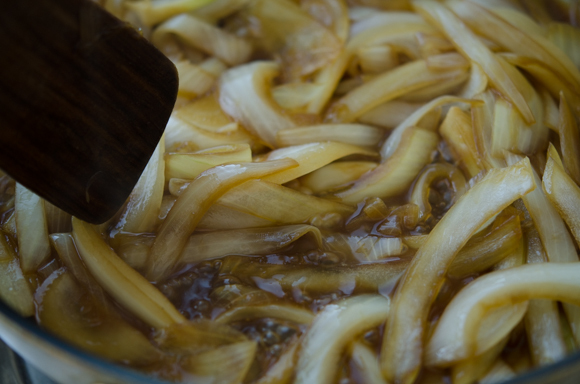 It`s like eating gyudon, which I love! Hi, I am so glad to hear from someone who knows about this dish. Thank you for visiting my sites and hope you would try different recipes as well. Thanks, Anna. Glad that you liked it.